The mobility of the future makes high demands on safety, comfort, energy efficiency and in particular environmental protection. It is a real challenge to satisfy all these requirements equally. Conflicts of aims will repeatedly appear. For example, new safety regulations and higher comfort requirements lead to higher vehicle weight, which stands in contrast to the requirement for lower energy consumption. Reducing the vehicle weight is an important key to resolving this conflict, while also increasing the lateral vehicle dynamics. The increased use of lightweight construction materials is therefore essential. 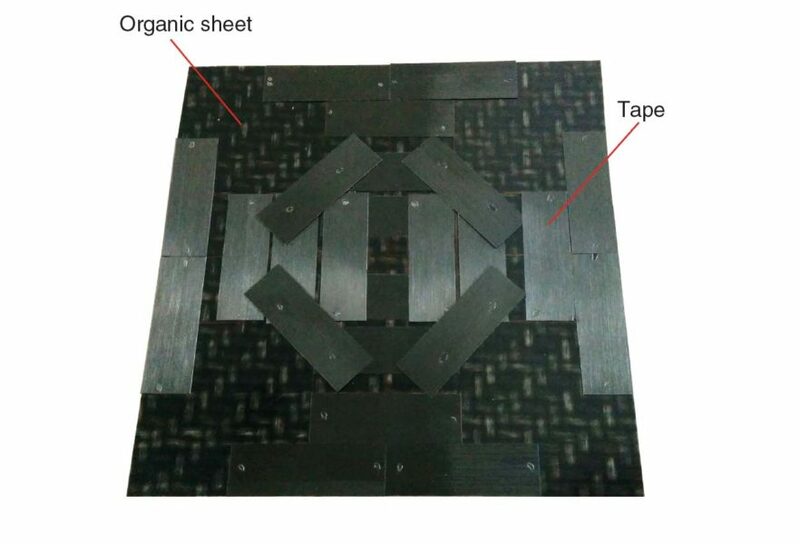 Of the materials with high lightweight construction potential, fiber-reinforced plastic composites (FRP) are particularly promising, combining optimum mechanical properties with low material densities [1, 2]. Aerospace and racing have long known this and push extreme lightweight construction to a very high level. 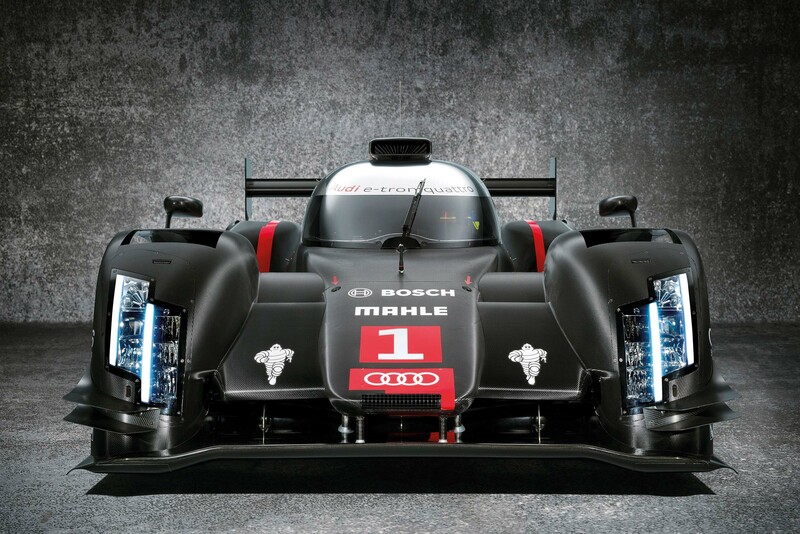 For example, the Audi R 18 e-tron quattro hybrid racing car illustrates the huge potential of FRP lightweight construction (Figure 1). Because of the low quantities, however, the demand for automated processes that are compatible with large series production is not yet so pronounced in the application areas as in series automotive production. As in aeronautical engineering, the automotive industry currently also makes use of fiber-reinforced plastic composites with thermoset matrix systems. However, vehicle manufacturers extend the requirements spectrum to the parts, with a focus on the mechanical properties of the parts, the quantities and the total unit costs. These requirements can be especially satisfied by thermoplastic FRP. The strengths of these materials are the result, among other things, of the shorter cycle times and the ease of integrating functions, which improves the unit costs, particularly in large series. 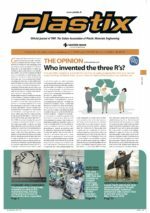 Apart from the advantage that the thermoplastic matrix systems can be tailored for the particular application and that specific structural and property profiles can be obtained, they also benefit from their suitability for recycling. The lifecycle of the materials is increasingly considered holistically. Products that are produced in large series, in particular, require simple recycling solutions . Thermoplastic FRP parts differ not only in the properties of thermoset solutions, but also in the manufacturing process . The chemically uncrosslinked matrix in thermoplastic FRP semi-finished products, such as organic sheet, can also be melted by supplying heat energy. Like the plastication of plastic pellets during injection molding, this heating is an essential process step en route from the semifinished product to the part. Some of the requirements and principles found during the plastication of thermoplastics also apply to the plastication of thermoplastic FRP semifinished products. For economic reasons, the heating process should take place particularly speedily, since the heating time has a direct effect on the overall cycle time of the manufacturing process. 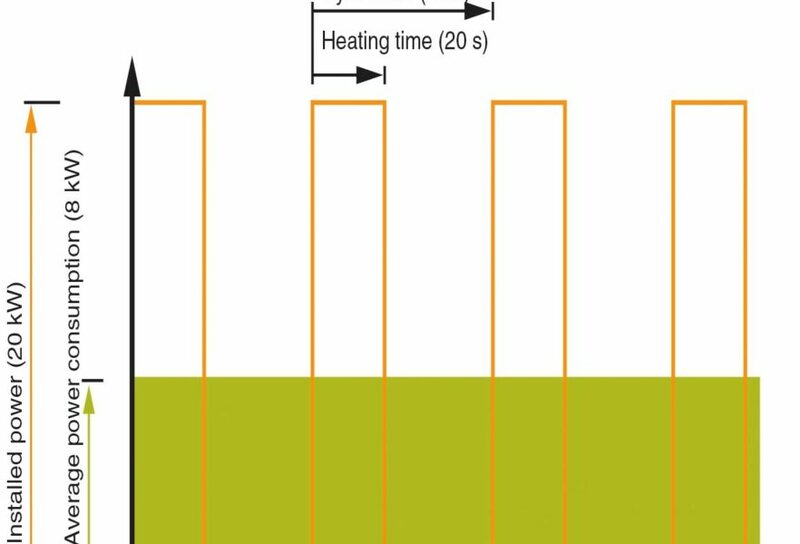 If the heating duration determines the cycle time, the heating cycle can be shortened as desired heating multiple semi-finished products in parallel. However, this initially increases the investment costs, since a correspondingly complicated heating station or several individual stations are required. Rapid heating can be achieved in particular by infrared radiation. The heat input takes place via the direct excitation of matrix molecules by electromagnetic waves and does not require the time-intensive heat transfer between a hot medium and the surface of the semifinished product. 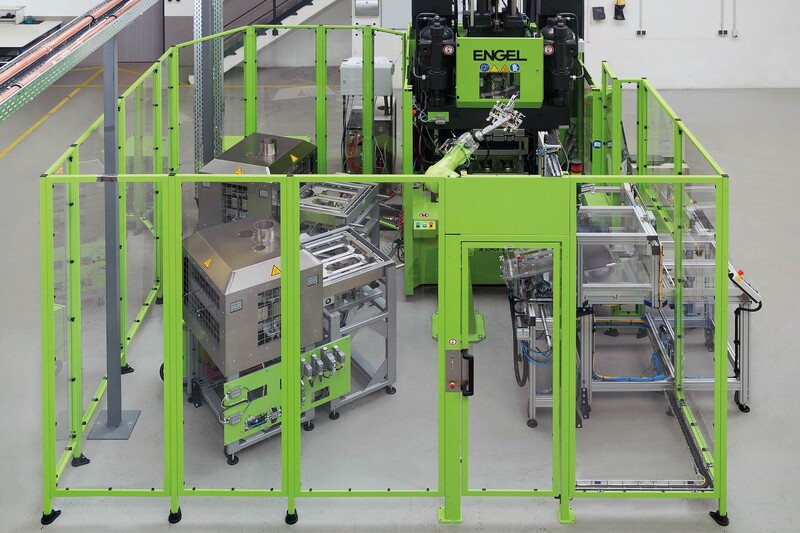 In the manufacturing system developed by Engel Austria (Schwertberg, Austria) for processing thermoplastic FRP, the IR heating system is completely integrated (Figure 2). Besides economic aspects, the question of the material also has to be considered. Plastics are subject to changes over time that take place at elevated temperatures. For this reason, the processing of plastics aims for the shortest possible residence at high temperatures. The mechanical and optical properties of the material should still be retained after processing. The demand for rapid heating is thus supported by the consideration of both the material and the economics. Short residence times are thus the prerequisite for gentle heating. However, that only applies to temperatures that are compatible with the plastic used. Nevertheless, practically relevant IR radiators are easily capable of heating semifinished products too strongly at high temperature gradients. To avoid this, heating with IR radiators must be sensitively controlled and temperature must be documented as a quality-relevant parameter – as is illustrated by the example of a 2 mm-thick organic sheet. In this case, it involves a combination of a black-pigmented PA6 as matrix and glass fiber as reinforcement. 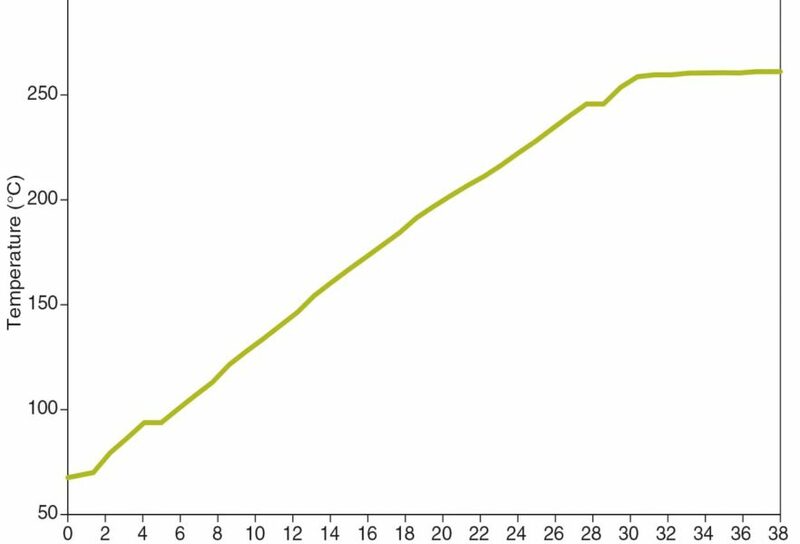 The measured temperature curve shows how, because of the optimized control behavior, the target temperature of 260 °C is reached rapidly, but is not exceeded (Figure 3). A controlled heating concept thus especially meets the demands on the plastication of organic sheet and tapes for introducing heat by radiation. Contrary to the popular opinion that only radiators whose emission spectrum corresponds to the absorption bands of the medium to be heated are suitable, radiators that do not meet this condition are also suitable. While radiation passes easily through thin films if there is no correspondence, infrared radiation penetrates deeper into thicker organic sheets. In contrast to film processing, this fact offers advantages, since the radiated energy is distributed over a larger volume thanks to the increased penetration depth. The distribution reduces the stress on the material and accelerates the heating process because only part of the energy must reach the interior of the semifinished product via the relatively low thermal conduction. The heating rates actually achieved are dependent on many factors, such as the material, geometry and wall thickness of the semifinished product. Various organic sheets with a wall thickness of 1 mm are heated at different rates with constant radiator configuration. The combination of PP and glass fiber thus achieves heating rates up to 10 K/s, while the combination of PA6 and glass fiber only reaches approx. 7 K/s. Both values refer to black-pigmented matrix systems. The heating rates that can be achieved thus not only depend on the radiator technology but also on the materials themselves. In a comparison of different heating curves, care is therefore advisable, since important details such as surface color or texture already have an effect on the heating behavior. Independently of the physical properties of the radiators, their power per unit area must be high enough to permit economic cycles. High installed powers are not directly related to the energy consumption. Since the heating process only represents part of the overall manufacturing cycle, the average power consumption is only a fraction of the installed power (Figure 4). Currently available heating stations are modular in construction, which increases the ease of maintenance and permits flexible adaptation to different semifinished product dimensions. Through the flexible activation of individual modules, even large radiator areas can heat small semifinished products efficiently. Semifinished products used nowadays usually have uniform wall thicknesses. From the point of view of material strength, the lightweight construction potential for multidimensional stress states can only be exhausted if the thickness is varied . Modern infrared heating systems are capable of selectively heating semifinished products with variable wall thickness by controlling individual heating modules independently of one another. 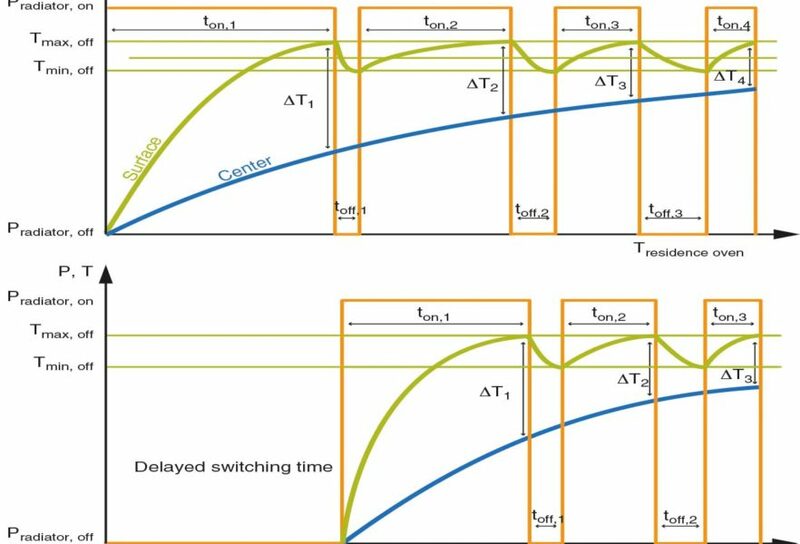 For example, the different regions in the semifinished product can be heated with a time delay by means of radiators that are grouped into different control zones (Figure 5). The difference between the control limits (Tmax and Tmin) shown in the graph tends toward zero in the optimum case. Semifinished products with a very complex thickness construction (Figure 6) can only be heated in a tailored way by means of adapted radiator technology using control zones that are independent of one another. If, however, standard components are used, the heating times are subject to limits since excessive temperatures must be avoided in the thinnest regions. If the temperature resistance of the materials is optimized in future, standard components can still reach the heating times of the adapted radiators.